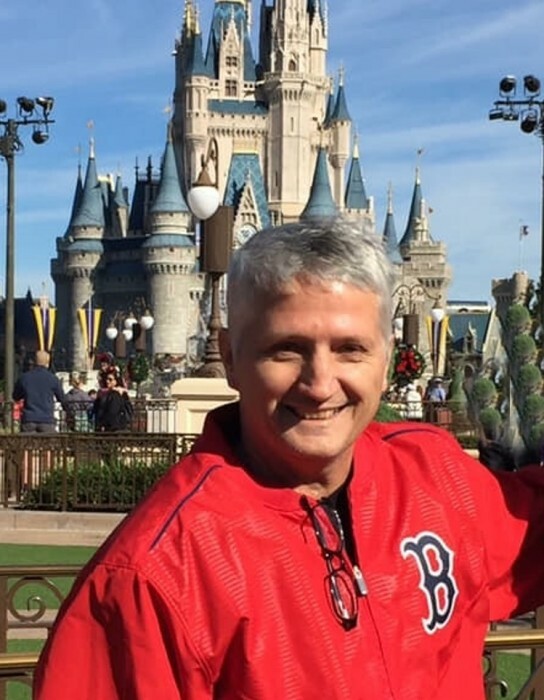 James Anthony Howard, 55, of Jacksonville, Florida passed away peacefully and surrounded by family on Saturday, February 9, 2019 following a brief and courageous fight against multiple myeloma. James was born on July 25, 1963, in Portland, Maine. He grew up in Portland and graduated from Cheverus High School in 1981. He joined the United States Navy in 1982 as an Aviation Electrician’s Mate working on naval aircraft and components. During this time he traveled the world and was stationed in San Diego, CA, South Weymouth, MA, Fort Worth, TX, NAS Oceana and finally Jacksonville, FL. Following a successful military career, James retired in 2002. After his retirement, he continued to work as a civilian aviation mechanic at NAS Jacksonville, Fl. James, aka Howie, Jim, Jimmy, Little Jim had a heart of gold. He enjoyed spending time with his family and friends including his yearly trips to Maine in July for his birthday. He would always make sure to be here for the Yarmouth Clam Festival. He loved his Amato's Italians, red hot dogs, chocolate powdered doughnuts, Ketchup potato chips and of course lobsters and clams (steamers). He was also an avid sports fan with his favorite teams Boston Red Sox, Notre Dame, Celtics and his Dallas Cowboys. He would always try to get in a Portland Sea Dogs Game as well as a Boston Red Sox game when visiting. In addition, he loved watching WWE and his youngest daughter, Makenna, enjoying it with him. The greatest accomplishment and joy in his life was his three beautiful daughters, Amber, Brittany and Makenna. He lived for his girls. He loved watching Amber play softball, Brittany perform her cross-fit competitions and Makenna performing her gymnastics. He was the life of the party and always goofy and making everyone smile. He is survived by his mother, Barbara McLinden Howard of Gray, ME, his daughters Amber Howard of Fort Myers, FL, Brittany and Makenna Howard of Jacksonville, FL, his grandson Eli Wiggins with a granddaughter expected in May 2019. In addition he leaves behind six brothers, Robert Howard Jr. and his wife Jacqueline of Westbrook, Stephen Howard of Portland, Dave Howard and his wife Penny of Gorham, John Howard and his wife Melissa of New Gloucester, Jeffery Howard of Portland, Logan Ridge Howard of Gray, ME, one sister, Allison Ridge Howard of Gray, ME and many nieces and nephews, aunts and uncles. James was predeceased by his father, Robert S. Howard, Sr., his paternal grandparents, Clarence and Alice Howard and maternal grandparents, Gilbert and Mary McLinden. For the past 17 years James has been a very important part of the Mayport Tuttle family. He became a beloved son, brother and uncle to his Florida family. The Howard Family would like to extend our sincere gratitude and love to Mary Tuttle Bragg, Ronald Bragg and the entire Tuttle/Bragg family for their constant love and support. The family will host visiting hours on Friday, February 22nd from 5-7 pm, with a Rosary at 5:00 p.m. at Quinn-Shalz Funeral Home, 3600 3rd St., South Jacksonville Beach, FL. A Mass of Christian Burial will be celebrated at St. John the Baptist Catholic Church with Father Mark Waters on Saturday, February 23, 2019 at 11:00 a.m. Interment will follow in Pablo Mayport Cemetery. After the burial we will be welcoming friends and family at a reception in the church hall. In lieu of flowers, donations may be made in memory of James Howard to Mayport Cemetery, 1441 Palmer St., Mayport, FL 32233.